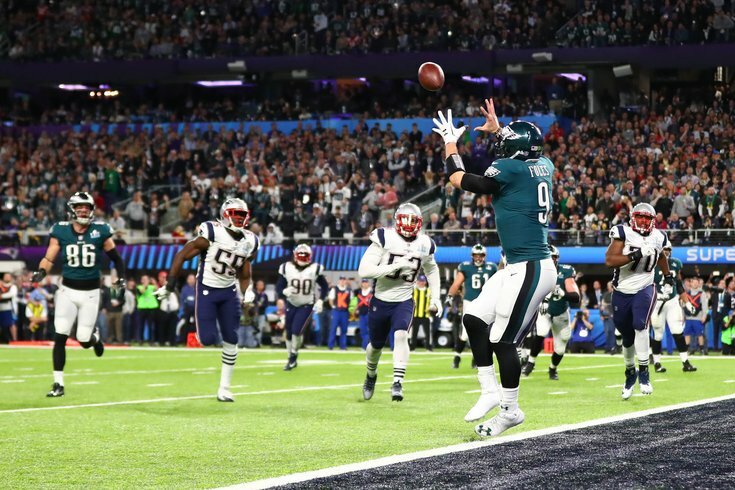 Eagles QB Nick Foles catches a touchdown pass against the Patriots in Super Bowl LII ... and a legend is born. John DeFilippo thinks very highly of Press Taylor, who it appears will inherit DeFilippo’s old position as the Eagles’ quarterbacks coach. Taylor just finished his fourth year with the Eagles after originally joining the team as an offensive quality control coach during the 2013 offseason. In addition to that role as offensive quality control coach, Taylor served under DeFilippo as the team’s assistant quarterbacks coach in 2016 and 2017. "It came from the Chicago Bears [in] 2016, [WR coach] Mike Groh had it – not Mike Groh but Alshon [Jeffery] and the Bears ran it inside the five-yard line," Pederson said last week. "And that's where we got it from." That, however, only tells part of the story. It's the what, where and when – not the how, why and, most importantly, the who. As in, who brought the play to the attention of the head coach? Sure, Pederson decided to go for it on fourth and goal. Nick Foles, as we now know, made the call. And, finally, Trey Burton delivered a perfect pass. The end result was a play that likely won't ever be forgotten. So how did that go from a 2016 Bears regular season game to being called in the most crucial spot in the biggest game in franchise history? “It was something that we researched and saw on tape,” DeFilippo said. “Our quality control guy, Press Taylor, who is a really, really good sharp young coach, had a bunch of logged cut-ups that had a bunch of trick plays on there. We actually had it in for a couple of weeks and decided not to run it. “There was a situation in the game against Minnesota that we thought about it. Then we were like, let’s just save it for the Super Bowl. So we went with another play [in the NFC championship]. But Press does a great job of keeping cut-ups from other teams and obviously, Coach Pederson did a great job of coaching it. The attitude was if someone had a really good idea, why would you not use it? That’s how it comes to play. Coach Pederson is so open to new ideas, he just hopes new ideas and the players did a great job with it this year. The "Philly Special" was certainly something we hadn't seen from the Eagles before. And without Taylor, we might never have.